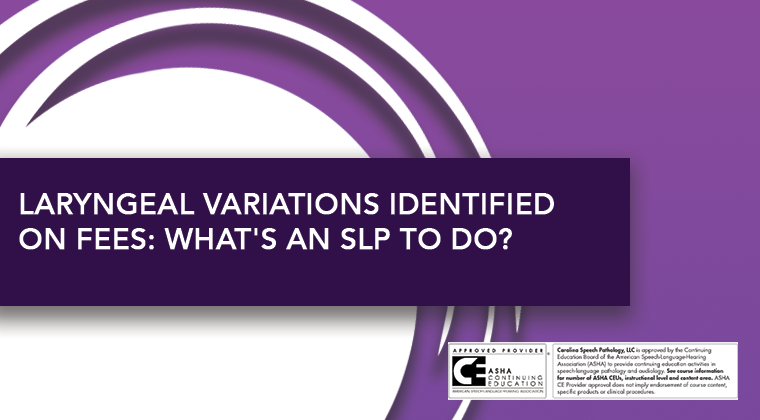 Laryngeal Variations Identified on FEES: What’s an SLP to Do? This is a LIVE webinar taking place on May 23, 2019 from 12:00 pm to 2:00 pm (EST). This 2-hour webinar provides an opportunity to familiarize the SLP with normal nasolaryngoscopic anatomy and function. Participants will be able to identify “normal” anatomic variations seen on laryngoscopic examination. Pathologic lesions requiring referral to an otolaryngologist will be covered. This course is offered for 0.2 ASHA CEUs (2 hours), Intermediate Level, Professional Area. If you wish to have your participation in this course reported to ASHA, you must include your ASHA number when registering for the course. If you do not have an ASHA number, but you would like your participation reported to ASHA, type “ REPORT” in the field requesting your ASHA number. If you do not wish to have your participation submitted to ASHA, type “NO” in the field requesting your ASHA number. Once the course post-test has been completed your material will be ready for us to submit. If you have any questions, please email education@carolinafees.com or call 877-390-1887. Correctly identify normal nasolaryngoscopic anatomy. Accurately identify when a variation of normal laryngeal anatomy or function exists. State at least three “normal” variations of laryngeal anatomy or function that are not considered pathologic. Describe when to recommend appropriate referral for evaluation of potentially pathologic laryngeal variations. 1:30-1:45 When do I refer? 1. If you register, and do not log into the webinar, you will not receive a refund for this webinar. 2. Successful participation in this course includes completion of the post-test with a score of 80% or higher, then participants will automatically receive a course completion certificate. If you would like to have your participation reported to ASHA, it must be indicated on the registration form. Participation will be reported to ASHA on a quarterly basis following successful completion of the course. Quarters run as follows: Jan-March, April-June, July-September, and October-December. 3. ASHA CE Providers have up to 45 days from the course's end date to send your participation to the ASHA CE Registry. The ASHA CE Registry processing time usually takes one week. During periods of heavy volume, processing time may be longer. Ashli O’Rourke, M.D., MS, began her professional career as a speech-language pathologist (SLP), earning her Master's degree in Speech-Language Pathology and Audiology from Florida State University. After more than seven years of clinical speech therapy practice at Emory University Hospital, she attended medical school at the Medical College of Georgia. 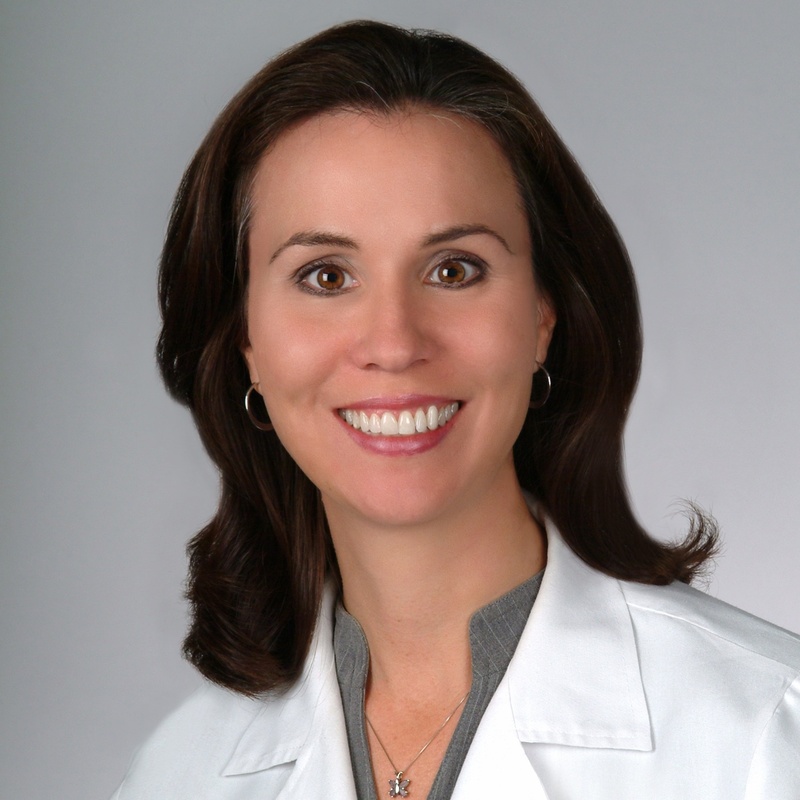 She completed her residency in Otolaryngology – Head and Neck Surgery at the University of Virginia in Charlottesville and her fellowship in Laryngology – Voice and Swallowing disorders at the Medical College of Georgia. Dr. O'Rourke joined the Medical University of South Carolina Evelyn Trammell Institute for Voice & Swallowing in September 2012. Dr. O’Rourke treats adult patients with problems located in the larynx, airway and/or the esophagus. This includes hoarseness or voice disturbances, dysphagia, or breathing difficulties due to airway narrowing or scar. She is particularly interested in the diagnosis and treatment of swallowing disorders as well as laryngopharyngeal reflux disease. Her research interests include innovative technologies for the diagnosis and rehabilitation of swallowing disorders. Dr. O’Rourke is board certified through the American Board of Otolaryngology - Head and Neck Surgery.